Following on from what was undoubtedly one of the best episodes of the Walking Dead Game, Episode 4 ‘Amid the Ruins’ is another strong episode and though it has its moments where it lulls a bit it is still filled with great moments that are worth playing. Episode 4 is an episode chalk filled with great moments between Clementine and a host of other characters, in particular is the newest person to join your little band of misfits ‘Jane’. Jane is someone who isn’t fond of being stuck with a group but sticks around to help you and you’re friends get re-united and back to some level of safety. It is the moments between Clementine and Jane that are the stand out moments in this episode, from having her teach you new survival techniques to having honest and too the point conversations about making the decisions that will ultimately serve you better in the long term. Jane is a character that I came to like quickly and it is how she is set up and then handled throughout the episode that makes this one so enjoyable to play. Unfortunately with you spending so much time with Jane you are in turn not given much time at all with the rest of the people in your group, missing are the random little conversations with characters in between trying to figure out your next move. Even Kenny who has quite an important ark in this episode with Clementine is rushed and not given as much time to develop as it should which is a shame. Having said that when you do have little moments with other characters they are still interesting and certainly add some new layers to the ever growing stack of problems on your plate. The story line that runs through this one is not as strong as the previous episode and it does get slow and slightly uninteresting at times but it still isn’t as bad as Episode 2 and with the interesting moments that crop up between you and the other characters it is enough to keep you moving through the game at a decent pace. Only once or twice did I feel myself being pulled out of the experience by some minor slow moments. This episode does however have some intense filled moments and some that will test just how quick you are with either making a difficult decision or fending off an impending horde. The episode is also furthered my the quintessential Walking Dead moments where they will pull at your heart strings and leave you wishing you had done some things differently which is always what you want from the game. 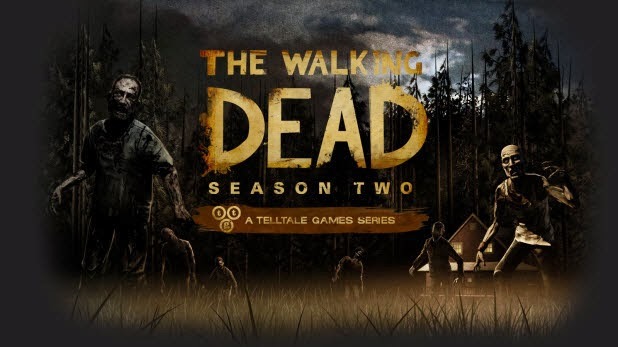 Episode 4 ‘Amid the Ruins’ is another good episode from Telltale, not the best but still an enjoyable episode that gives you more or less everything you’re expecting/wanting from a Walking Dead game and to cap it all off the episode once finishes off with a cliff hanger that is better than the last and leaves me very excited to play the next and final episode of this season.